Comparing this later version with Audubon’s earlier study (Figure 1)―where the bird is collaged onto a flat background―underlines why he revised his composition. 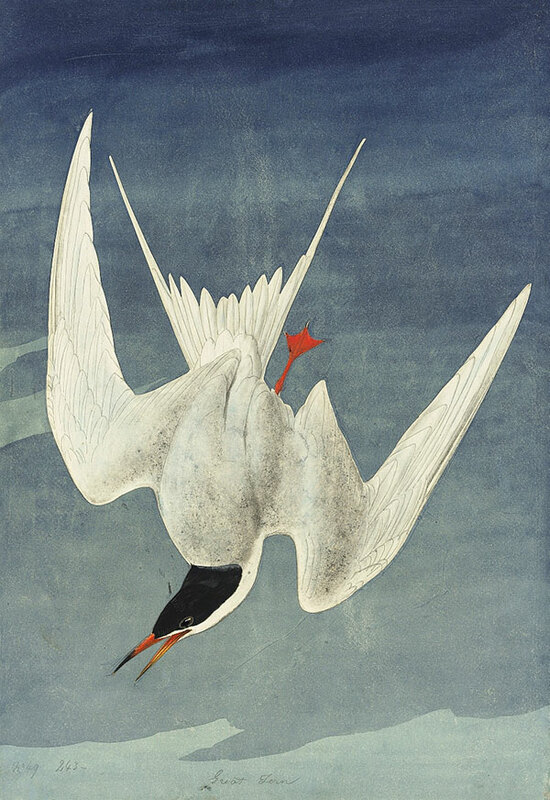 In 1821 he had cut the bird in the watercolor 1863.18.33 from an even earlier work, which he had deemed unsuccessful, and pasted it onto this sheet. JJA was also dissatisfied with that result. In this third attempt, a brilliant reprise from scratch with a subtler palette and modeling, the artist conveyed the soft three-dimensionality of the bird’s body. His sophisticated manipulation of monochromatic watercolor on wet paper for the background also created the illusion of the limitless sea and sky so successfully that it induces vertigo. 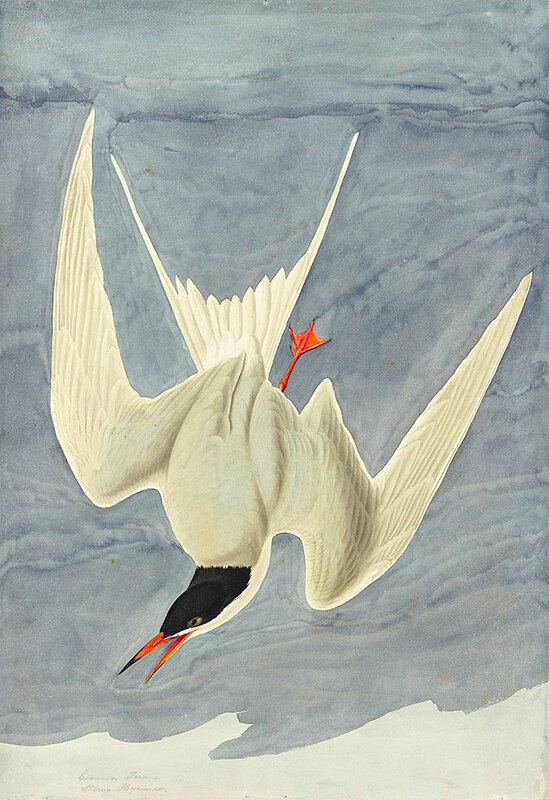 Expertly controlling the pooling of the watercolor to make the paper resemble silk moiré, he retained reserves of dry, unwashed paper in the bird’s tail and wings, producing a technical tour-de-force that defies the constraints of the watercolor medium.